Glorious, isn't it? 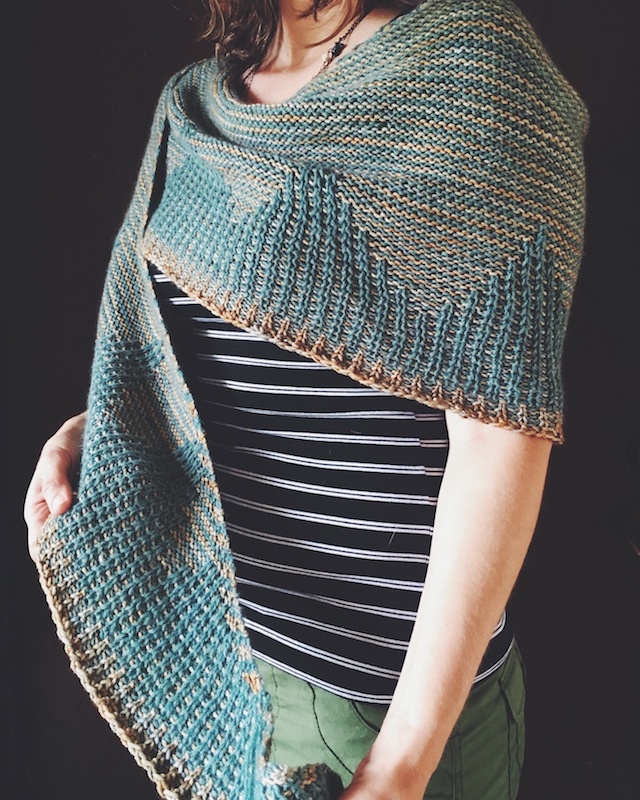 This shawl design was so interesting to me that I signed on to test it, even though I had told myself no more testing and such until all of my works-in-progress were finished. Well, they're not, but Zelda is. It's by Libby Jonson, of Truly Myrtle.com and the Truly Myrtle Podcast. I took FO photos on a day where I had on makeup and was sort of dressed up, but it was extremely dark and rainy day and I was in a hurry to eat. So I'm not trying for artsy blur here, they're just sort of fuzzy, making my Instagram pics the best- mismatched stripes and all. Sheesh, I really need to slow down and make nice, clear photos a priority again. Oh, just go look at Libby's photos, they're so, so beautiful. Ah, Libby, you've done it again. Another design with graphic appeal. I do like lace, really I do. 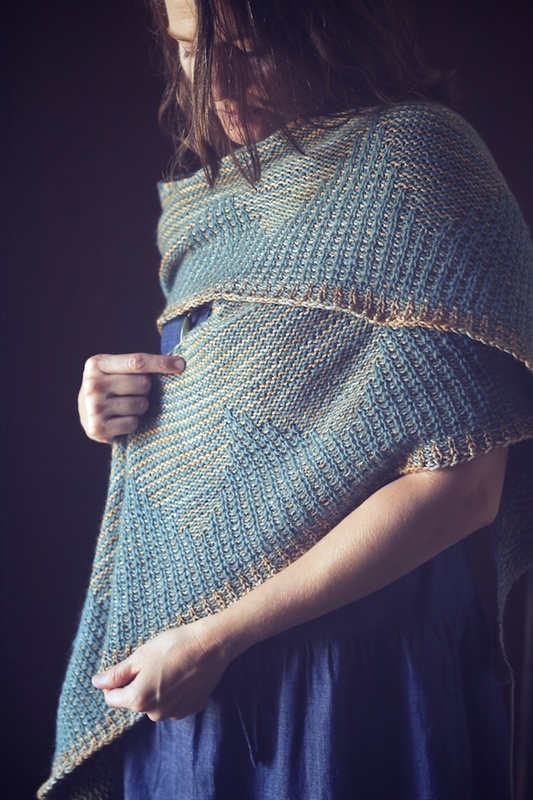 But I lean towards the un-frilly, and I think this is one of those universally appealing shawls that knitters who like either, or both, would enjoy. I love her play with geometric lines through both color and texture. Remember Rattan and Industry? 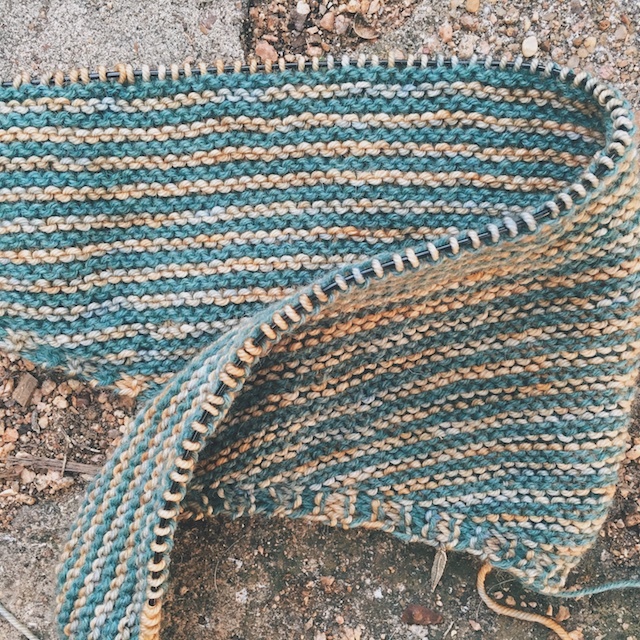 So this is my sixth Truly Myrtle pattern to knit, but it won't be my last. 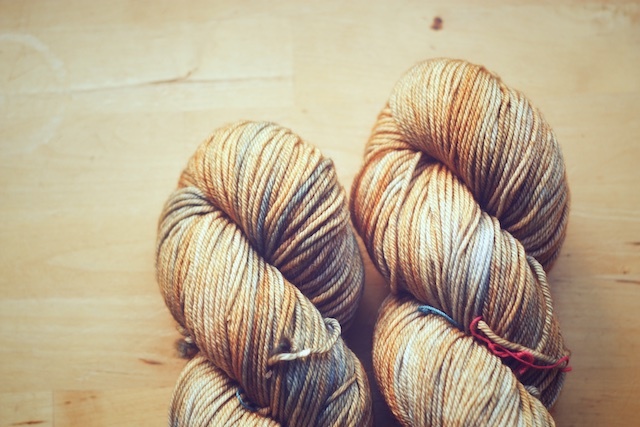 I have some Knit Pick's Stroll in Cork and Midnight Heather just waiting to become Joss. Seriously, click the link because Joss is awesome. It drew "Ooohs" and "Ahhhs" from my husband and son. When I wasn't even fishing for compliments. These guys see my knitting as an extension of my arms. 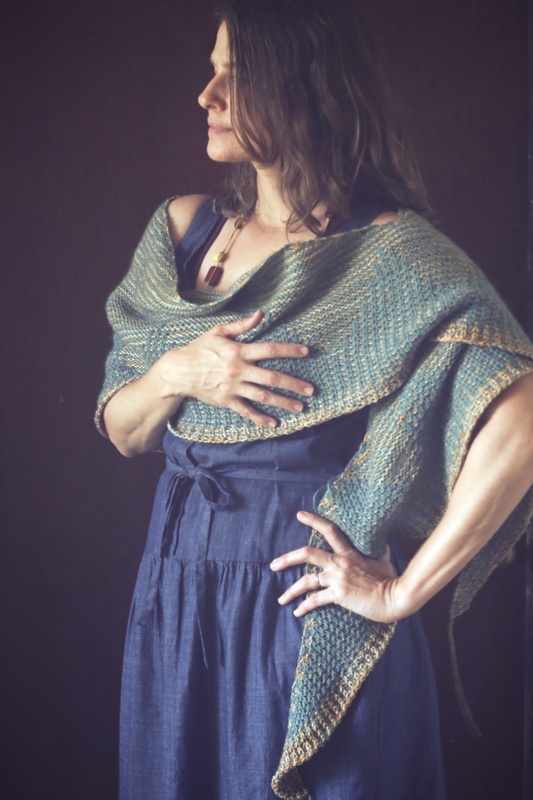 They could care less what's in my hands, yet they noticed this shawl. I think the reason for their awe was how super complex it looks. 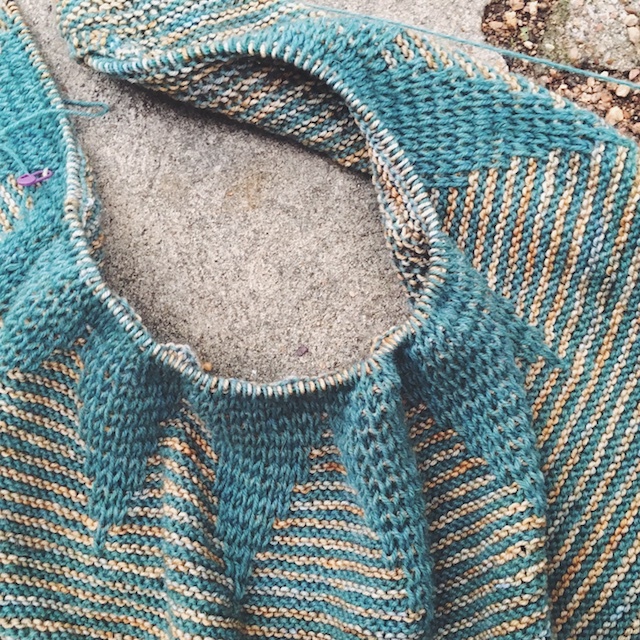 In reality, you could totally catch up on your favorite show while knitting it, but no one has to know that. 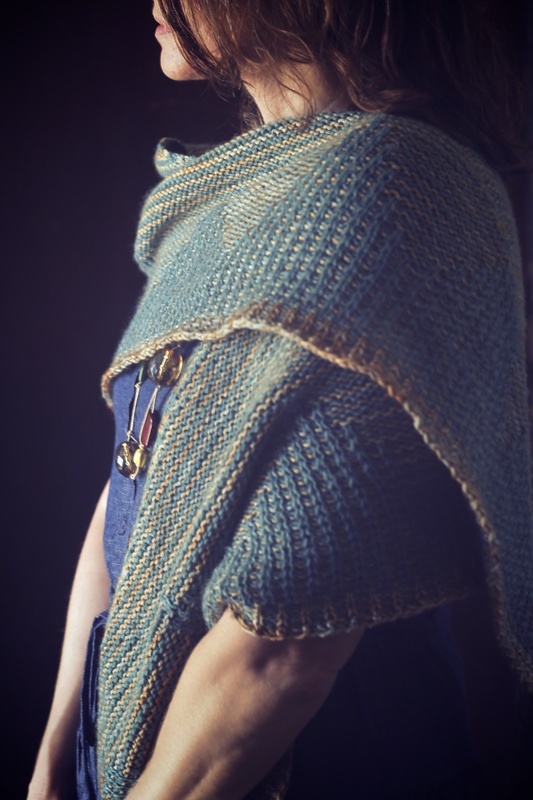 It is just the right amount of engaging to keep you knitting quickly. I think I made this, working off and on, in about 20 days. That's not a bad time commitment. I used size US 4 Karbonz and a combo of Knit Picks Wool of the Andes Sport in Thirst Heather and Madelinetosh Dk in Earl Grey. 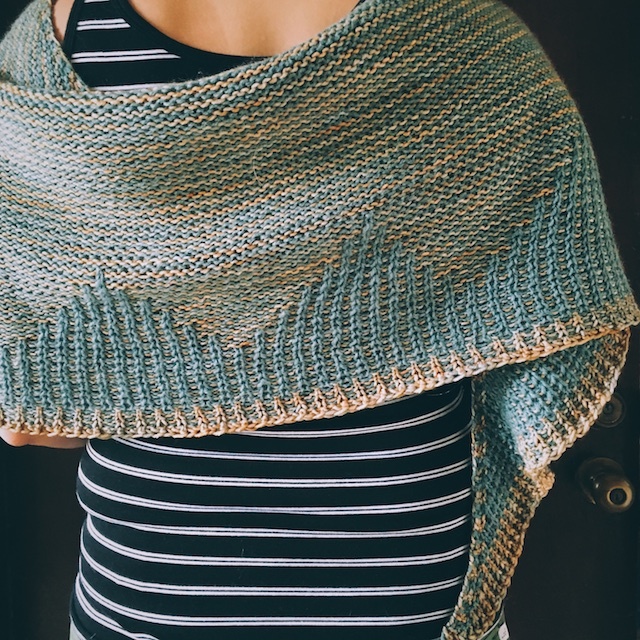 Libby's shawl gave me an excuse to resurrect and use them in a project that would display the little flecks of blue that make Earl Grey so special. One thing I love about Knit Picks is that their colors via the computer screen are completely accurate. So, I felt confident holding my Earl Grey up to my iPad and choosing the main color. Here's what I wish I had done: I wish that I'd made the Early Grey the main color because I think the tonal shifts would have shone through even better if it was in the forefront of the design. 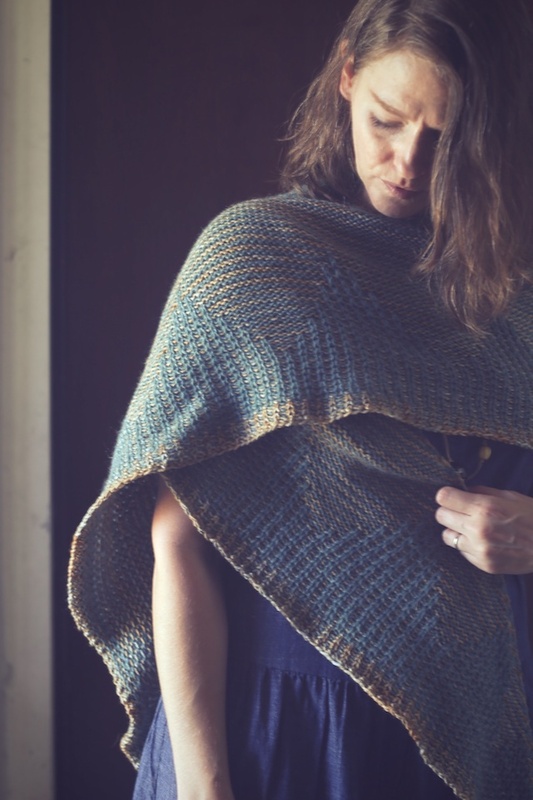 You can see how awesome it looks toward the edge of the shawl, right? Anyway, I wasn't about to rip back and start over. This was too perfect. 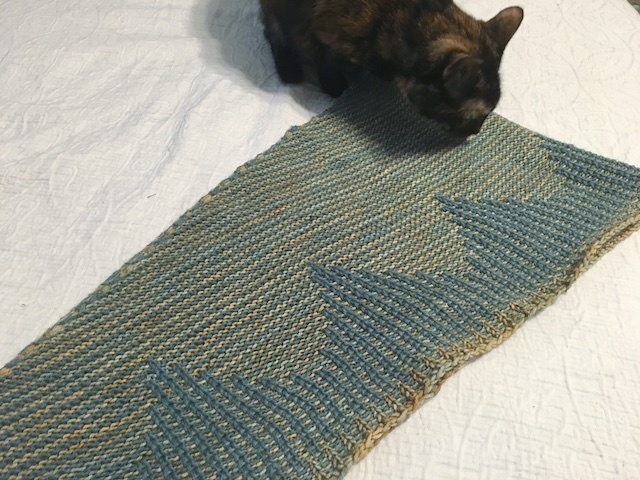 Plus, it was a test knit and I needed to finish. So what will be next on my needles from Libby? It's got to be Joss. 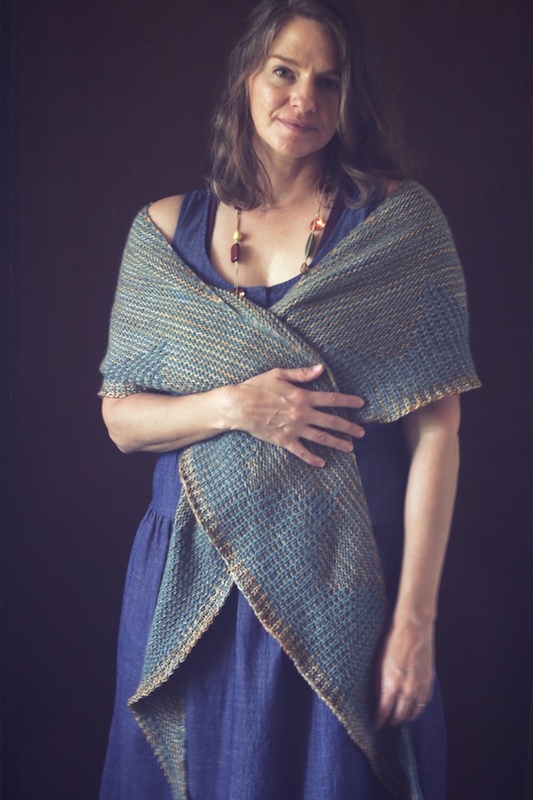 It's weird how often I think of that shawl. 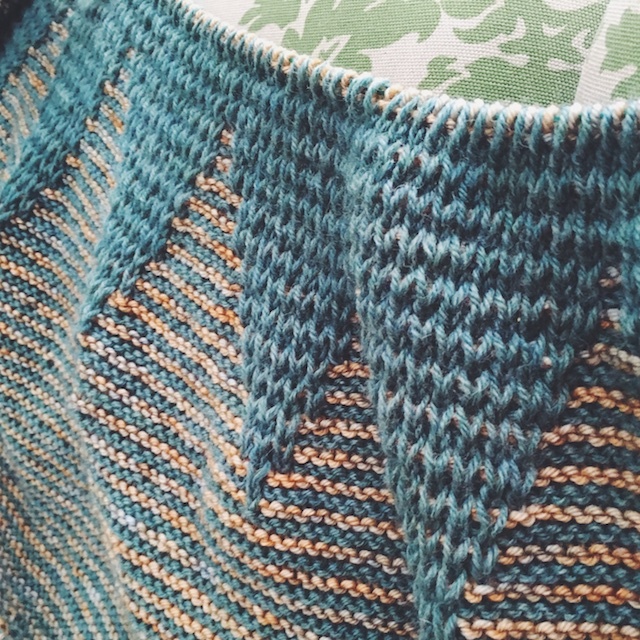 At the moment I'm finishing up two Tops, Tanks, and Tees projects and starting a few test knits. Don't know what happened to the "finishing all my WIPs, first" thing, but when I get caught up on all of that... Joss.